The benefits of oil palm are so many. So that it becomes one of the most profitable results. Palm oil or in Latin is known as Elaeis. Palm oil is one of the most sought-after commodities by plantation businesses, which not only exist in Indonesia but also throughout the world. This is indicated by the trend of land clearing which is shown as an oil palm plantation. Palm oil is one type of plant that is hard and has enormous potential to be developed as a business land. Even today the commodity is the most sought after in the world and produced the largest in Indonesia. Commodity orders are always increasing every year from all corners of the world. This palm oil plant grows in an environment with rainfall of 2,000-4,000 mm / year and has a soil pH of around 4.0-6-0. Of course only in tropical regions such as Indonesia and some Southeast Asian countries (ASEAN). 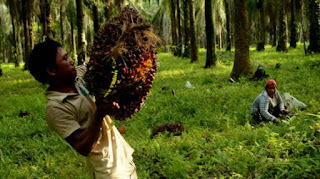 Palm oil is an important industrial plant that produces cooking oil, industrial oil, and for fuel. The plantations are able to produce high profits so that many old forests and plantations are converted to oil palm plantations. The benefits of oil palm are a major source of vegetable oil after coconut in Indonesia. This plant is known to the world since Portuguese explorers sailed to African countries in 1466. On the way they traveled to Ivory / Ghana Coast, locals were seen using oil palm for cooking or for beauty materials. Until the year 1790 for the first time a number of palm oil seeds were brought to England. Then in 1848 oil palm plants entered Indonesia, at first there were only 4 plants planted in Bogor Botanical Gardens. Approximately 40-50 years later the benefits of oil palm at that time were only used as ornamental plants only. Until the early 80s, oil palm plants in Indonesia were dubbed as prima donna commodities because they provided such abundant benefits. In Indonesia itself, which is one of the countries that produce large palm oil commodities, many grow in areas in Sumatra, Java, Kalimantan and also in the city of Sulawesi. Oil palm trees have a shape similar to a palm tree, with a stem that can reach 24 meters high. As one of the most advanced and widely cultivated plantations in Indonesia. The following are some of the practical benefits generated from palm oil for human life and its surroundings. The first benefit of oil palm is as a raw material for making cooking oil. Cooking oil currently circulating in the market is a type of cooking oil derived from processed palm oil. It is undeniable indeed, cooking oil is one of the nine staple ingredients that are most widely used by various groups. Both the household, the restaurant and various food industries. Diesel is from one type of engine that has advantages. Especially for commercial vehicles and for mining, which requires power in large amounts of torque to transport from the produce of the garden, mining and also the distribution of commodities to between regions. In addition, diesel is often also used as a power plant. The main fuel from diesel can be obtained using a mixture of palm oil which is considered environmentally friendly compared to ordinary diesel material. Palm oil which is one of the processed palm oil products can also be used as a lubricant. Most of the lubricants from palm oil are used to lubricate the outside of the machine and other devices. In fact there are several types of 2-ak machines using palm cooking oil as a mixture of ingredients on the side of the oil. The benefit of the fourth palm oil is certainly no stranger? Yes, butter is an ingredient that is often used for various purposes, whether it's to saute up to make cakes. One of the main ingredients of making butter is palm oil. Currently, pomade is one of the most widely used cosmetic ingredients, because it is suitable for hair style trends. Who would have thought, it turned out that the pomade was also made using the basic ingredients of palm oil which was made into oil. Various kinds of cream and also the lotions that we use on our skin are also made from the main raw materials from palm oil. Palm oil is formulated using a variety of ingredients such as serum and vitamins that are good for skin health. Do you get burns? Can be overcome by trying to cool your burns using egg white and also cold palm oil. The benefits of palm oil for humans can help cool the burned skin. Palm oil can also be made as one of the raw materials in the manufacture of wall paint, cars, varnishes and also compounds which are often used to process polishing on car bodies. Various kinds of fried foods have a good ability to neutralize the flavor of the spicy. This is caused by the content of palm oil which can eliminate the spicy taste. The benefits of other palm oil are one of the raw materials for making toothpaste. Palm oil is also one part of the raw material in making putty. Own putty is in the form of a paste that functions for repairs to certain parts of the surface of iron and plastic. Palm oil has other benefits, which can help the process of animal tanning. Usually animal skins such as cattle and goats will experience the process of tanning first before being processed into skin that is ready to be used as a bag and skin. The benefits of oil palm in daily life are also useful in the pulp section. Dregs from coconut oil are often used as food for livestock. Besides that, oil palm fruit is also a delicious meal for wild animals, such as wild boar. Palm oil is also useful as a raw material in the steel industry. In the steel industry, palm oil is used to provide coatings on steel and iron to be more resistant to corrosion as well as corrosion. The latter becomes compost or also called fertilizer. Waste from oil palm fruit and palm oil leaves can be processed in the form of compost. This compost fertilizer can help fertilize the soil and can help plants become better because they contain nutrients. 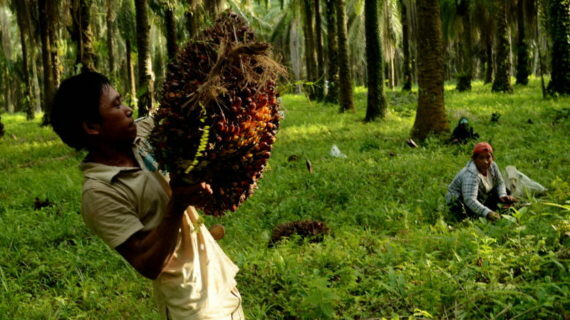 The economic benefits of oil palm are the benefits of oil palm as a commodity. As is well known, oil palm has a very high economic value, which makes many entrepreneurs dare to invest high capital investment in the opening of oil palm plantation land. The oil palm product is then sold as an export commodity and can also be used for distribution to palm oil mills. However, currently the opening of oil palm plantations must sacrifice tropical rain forest lands owned by the State of Indonesia, so that many are opposed from various circles. That is the benefit contained in oil palm for human life.